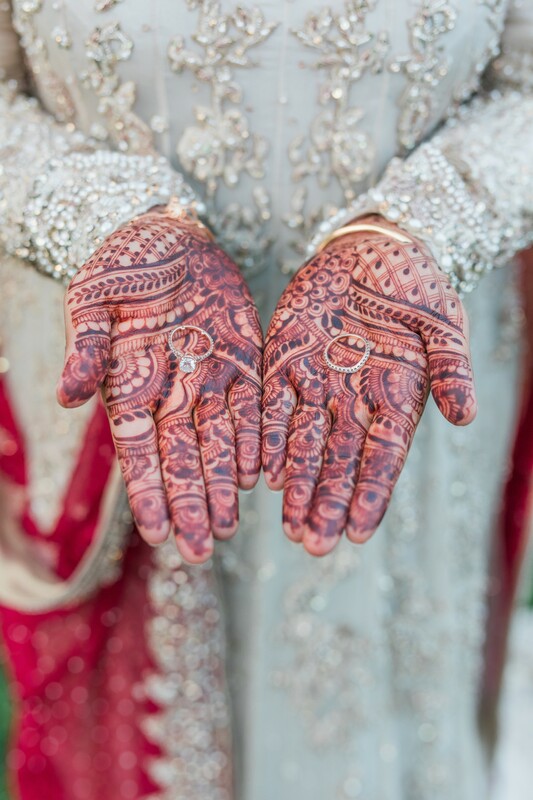 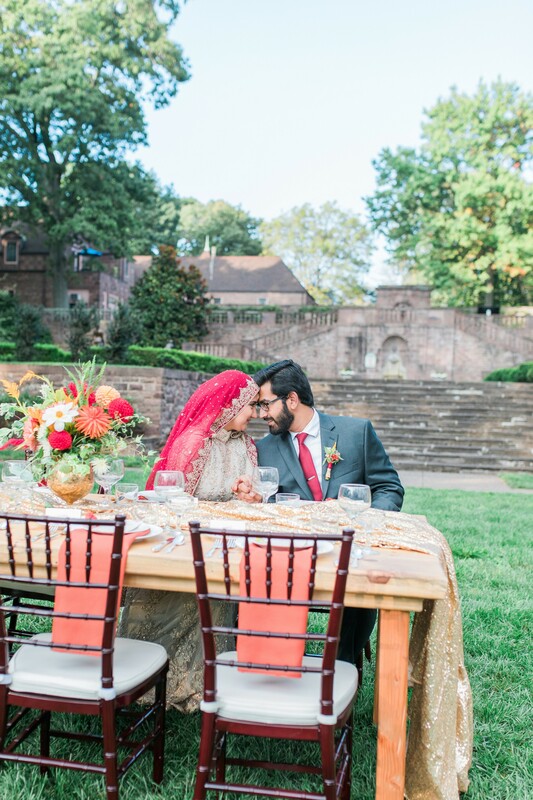 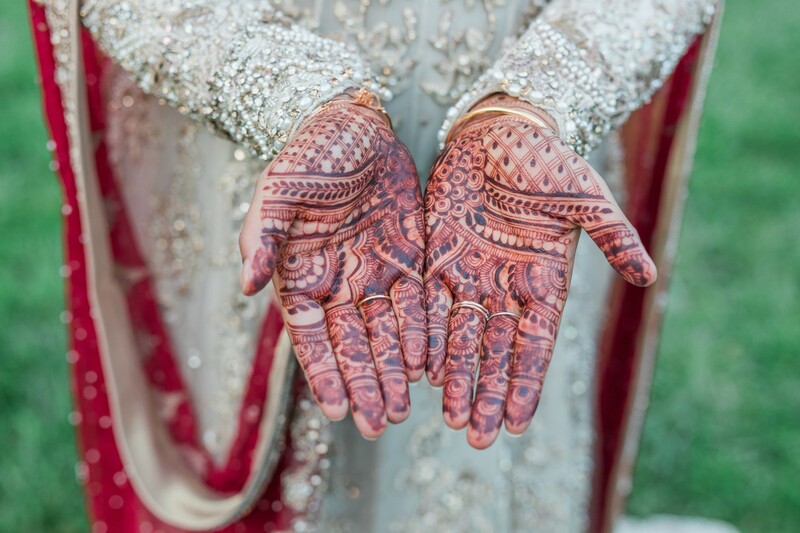 The inspiration began with the love and passion to take a deep dive into the beautiful culture of a true Pakistani couple, capturing the authentic traditions of what their wedding day entails. 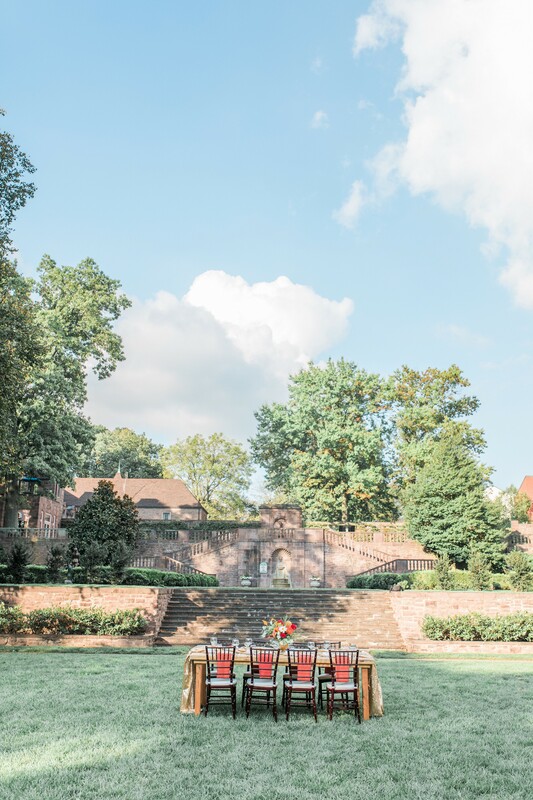 Kristina Wittig Event Coordination along with Jess Palatucci Photography collaborated to shoot this true love fairy tale in the enchanted Tyler Gardens, managed by Open Aire Affairs. 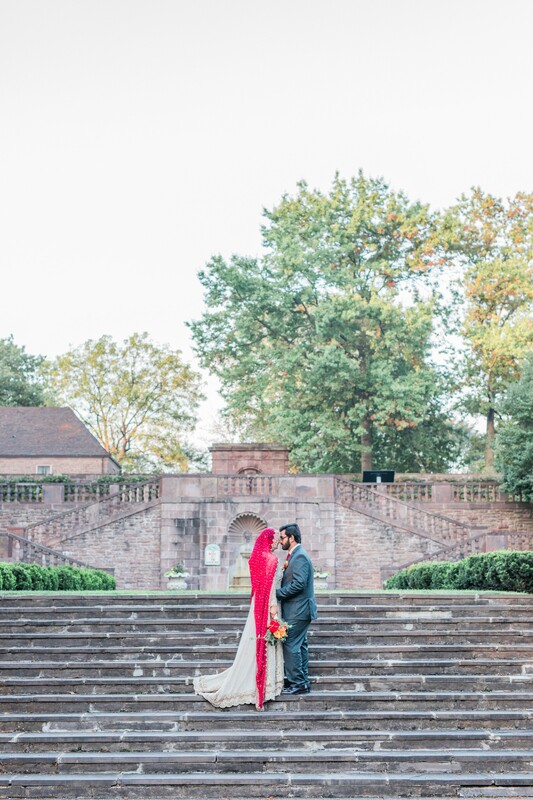 Their couple was magnificent to work with, guiding them through their real life story, assisting them to capture every detail, as they learned about their culture and what surrounds their big day! 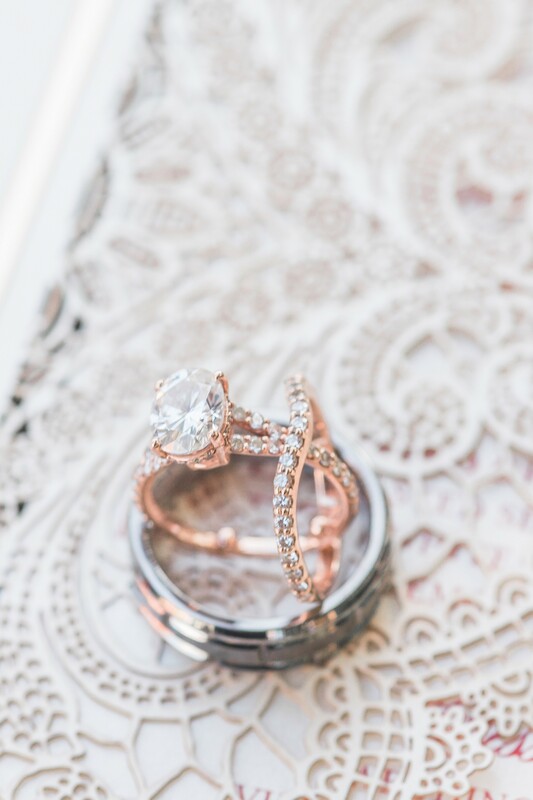 The gorgeous invitation designed by April Lynn, from April Lynn designs was one to capture the eye and set the tone for any guest attending this wedding. 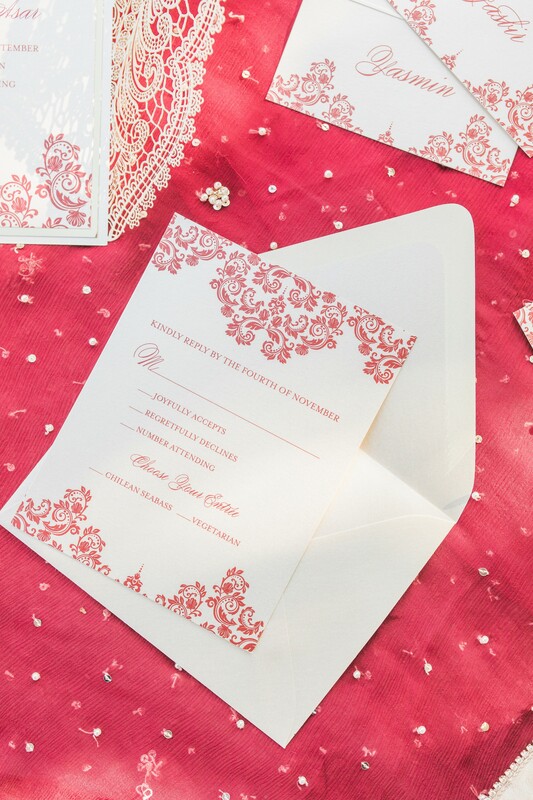 The heavy weight laser cut invitations, with glimmering champagne and red colors shined from a mile away. 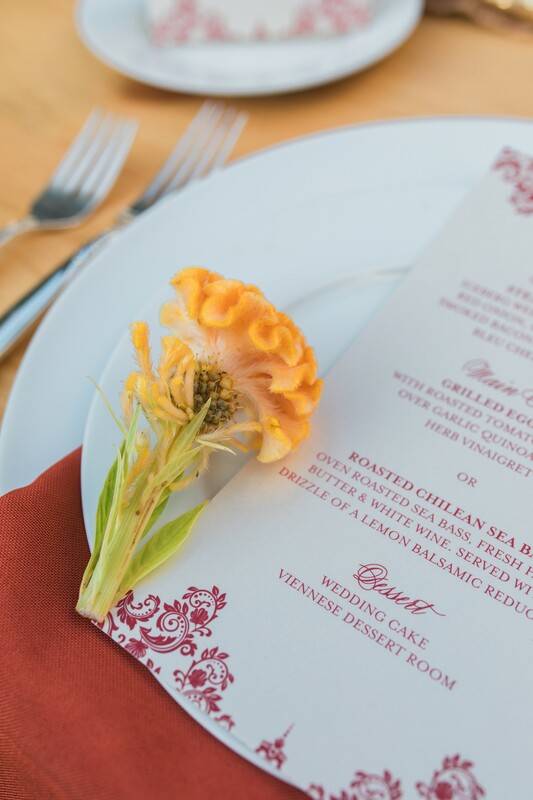 These unique invitations were simply stunning and added a true elegance to the design of the shoot, along with the specially designed menu and place seating cards. 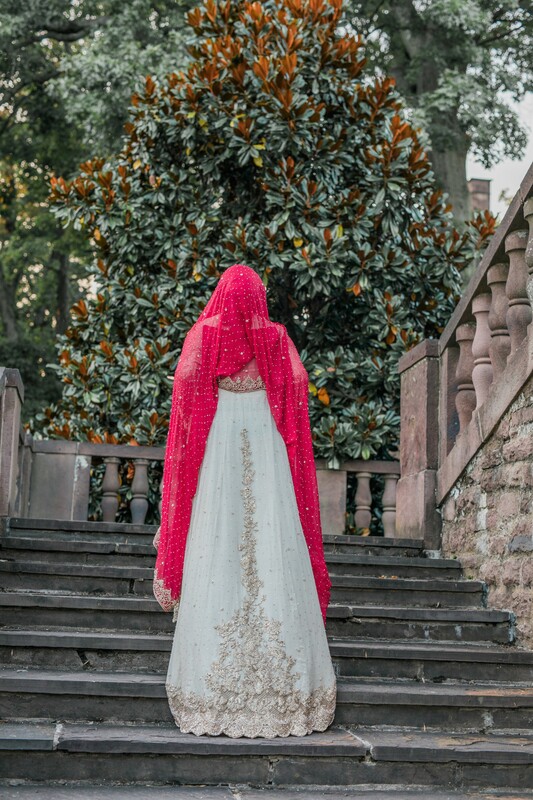 The bride’s gorgeous beaded gown, purchased from a small boutique in Pakistan was the focal point for Kristina’s inspiration when choosing colors. 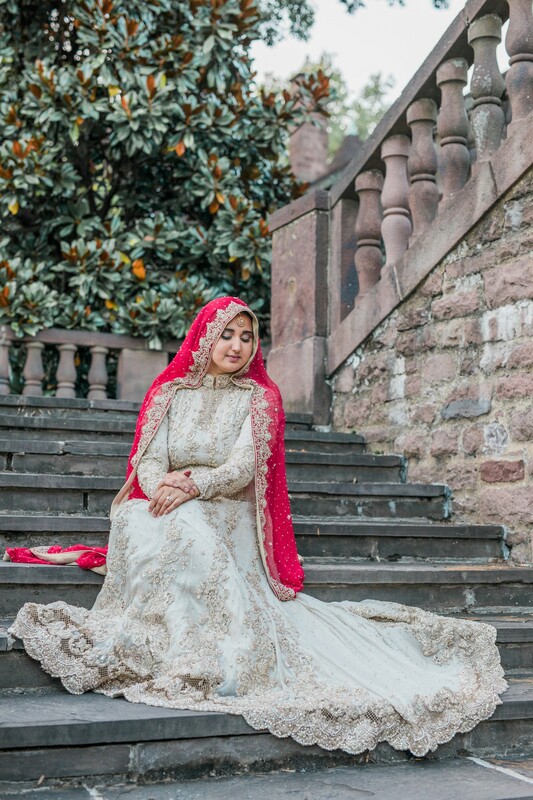 Accenting her gorgeous gown was the traditional dupatta which brought this shoot to life with its vibrant gold beaded maroon fabric. 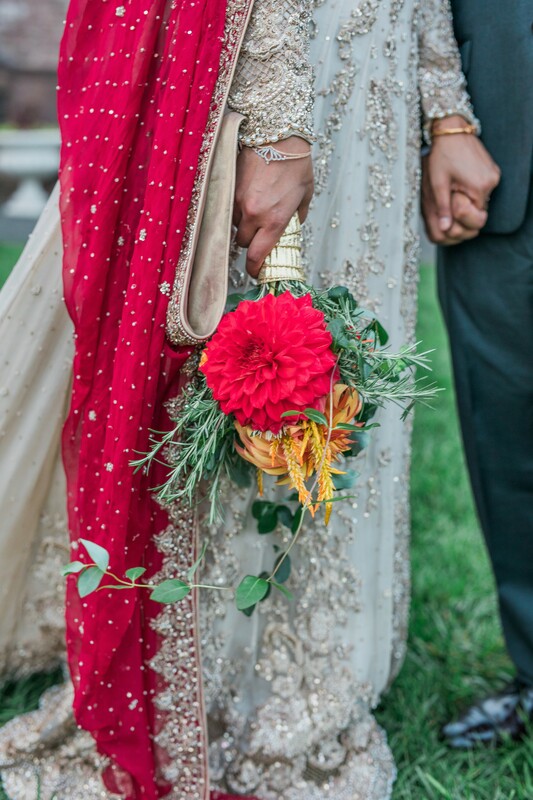 Kim Bensing from Studio Sprig in Doylestown, Bucks County, created a gorgeous centerpiece and bouquet filled with vibrant and luscious dahlia paired with textured celosia, trailing eucalyptus and ivy with a touch of fragrant rosemary. 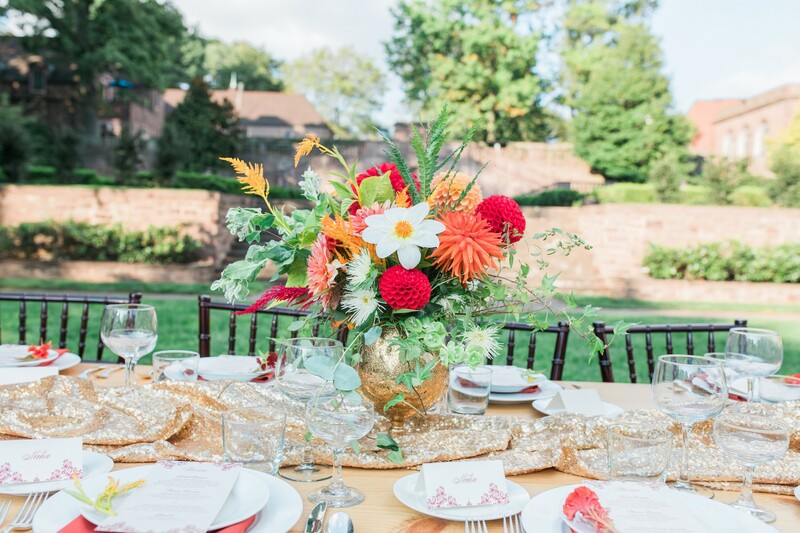 These flowers were unlike any you have ever seen, and were a staple to the gorgeous Farmhouse table used to create their vision for reception seating. 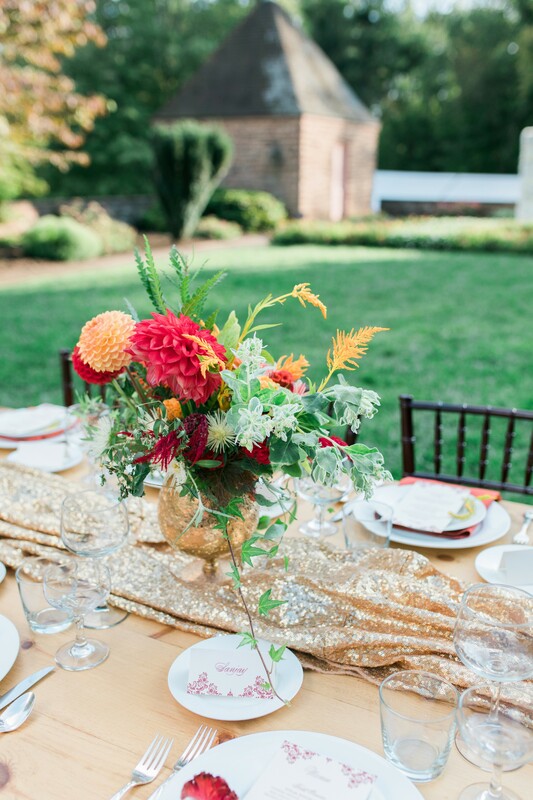 This floral arrangement complimented the texture of the of the sequined gold table runner and fire orange napkins. 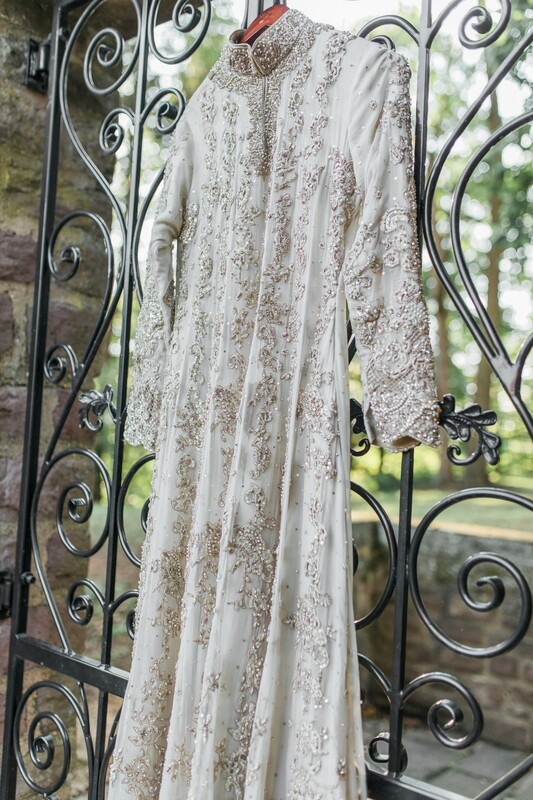 This remarkable team could never have captured such truly amazing and breathtaking images without the extremely hardworking and talented Jess Palatucci, a fine art wedding photographer from Philadelphia. 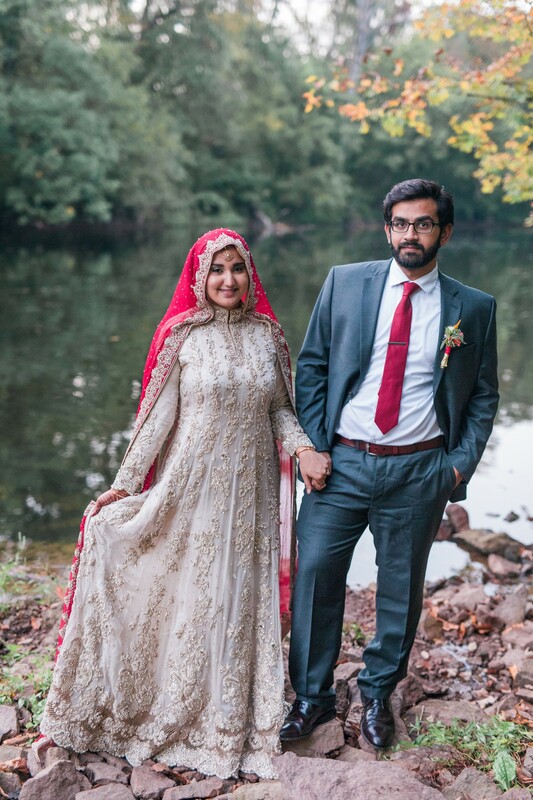 She incorporates real film into her galleries, and her light and airy yet bold & film inspired editing style brought these pictures to life! 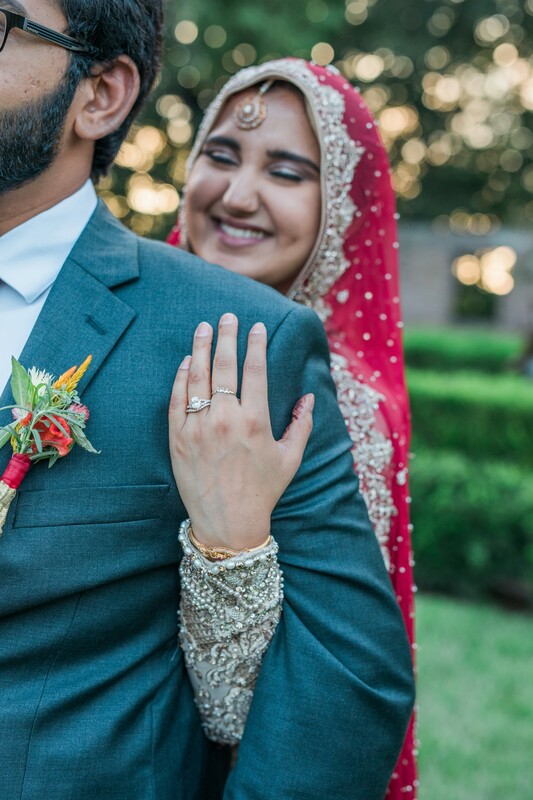 Ashley from Kiss and Makeup Professional Wedding Artistry created a flawless look complimenting the brides natural beauty, leaving her face glowing! 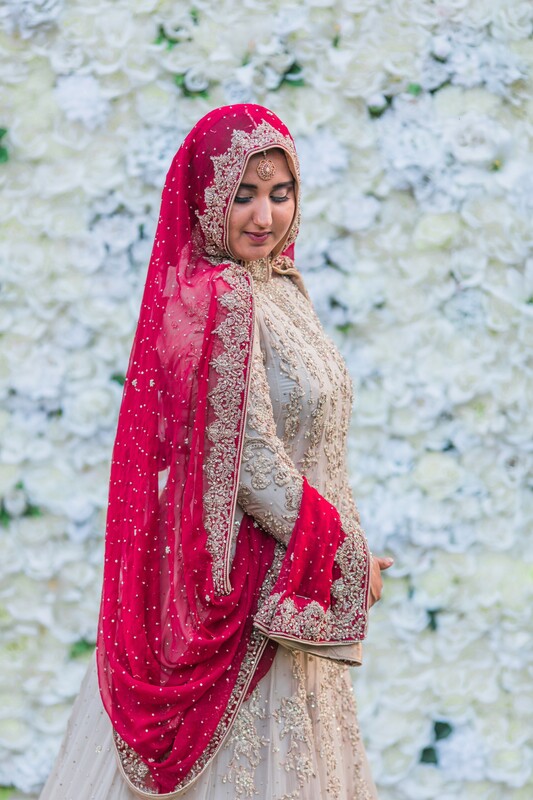 Kristina then worked with the bride for the traditional dupata pinning. 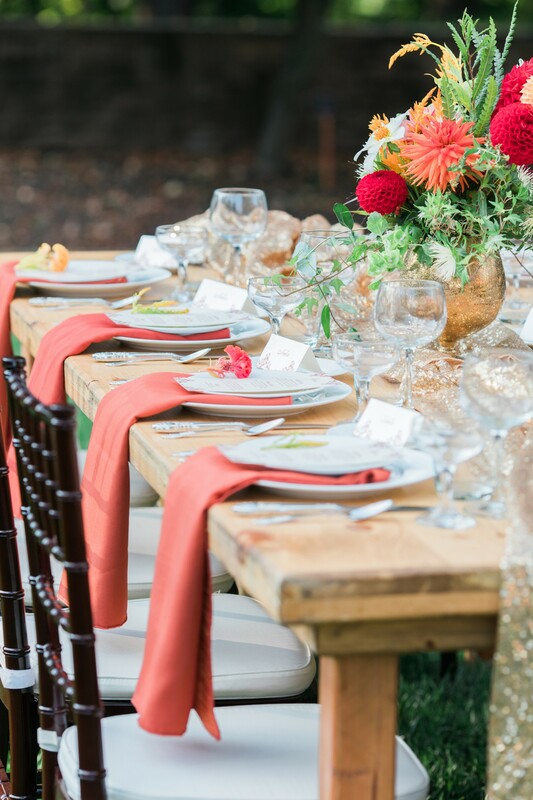 No wedding would be complete without a cake. 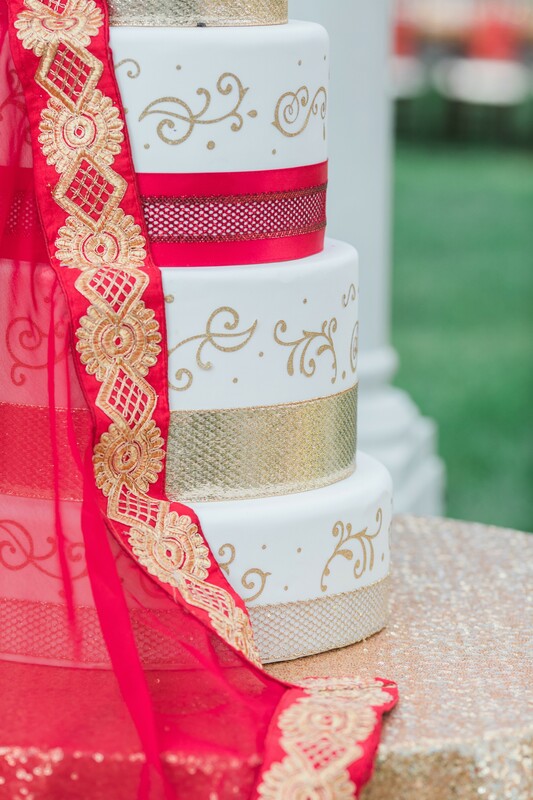 Denise from D’s cups designed a decedent white fondant with gold accent five tier wedding cake. 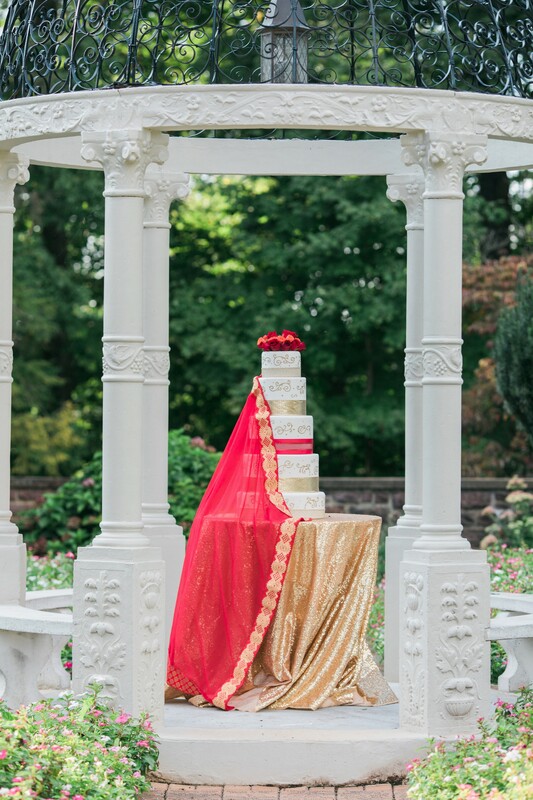 This cake was draped with a beautiful red sheer fabric with gold trimmed detail to match the brides dupatta, headpiece and gold jewelry. 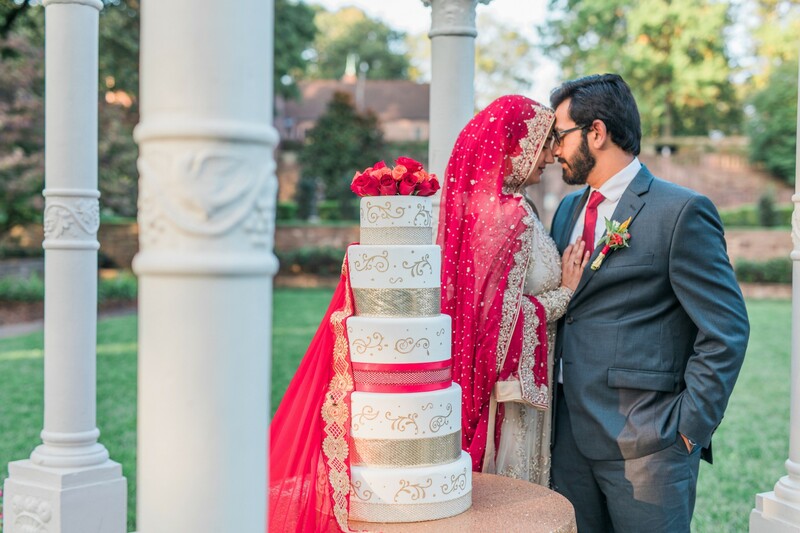 It was a simply beautiful cake that was sure to make heads turn. 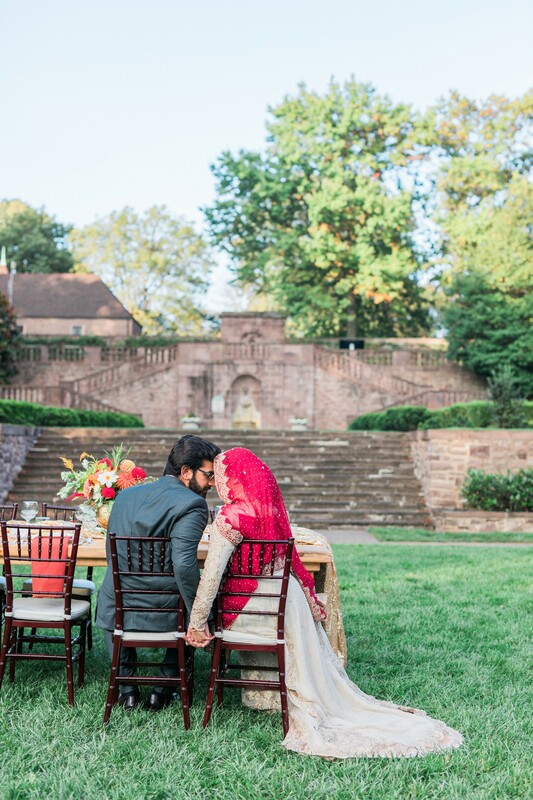 Lastly, the team wanted to bring a unique vendor in who would attribute to the gorgeous landscaping the grounds at Tyler Gardens had to offer. 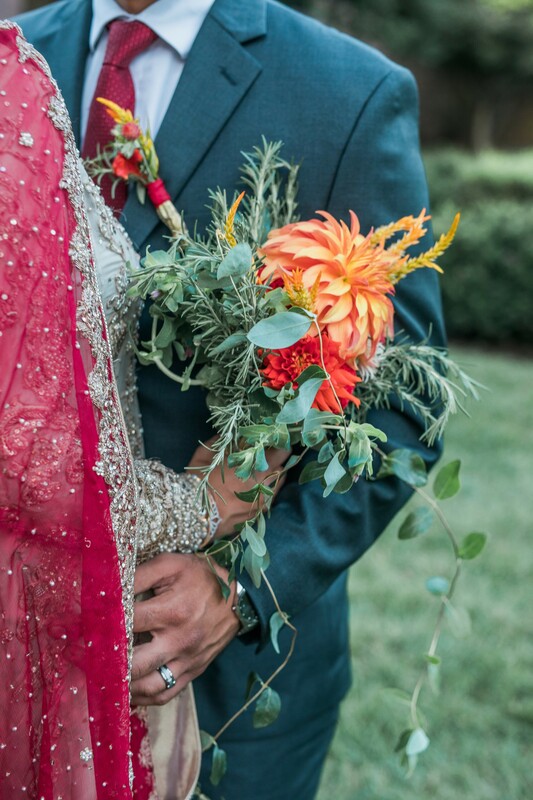 BackDroppers flower wall backdrop rentals is located in Philadelphia. 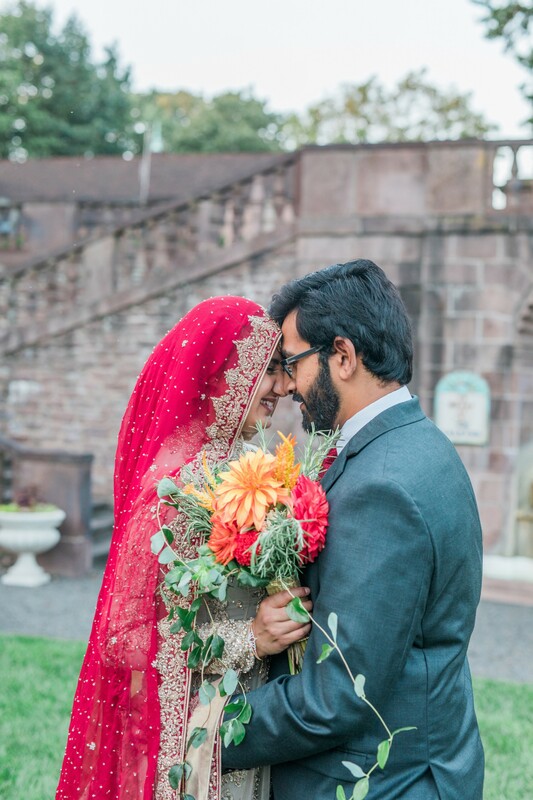 The backdrop provided for the styled shoot was their signature silk flower wall. 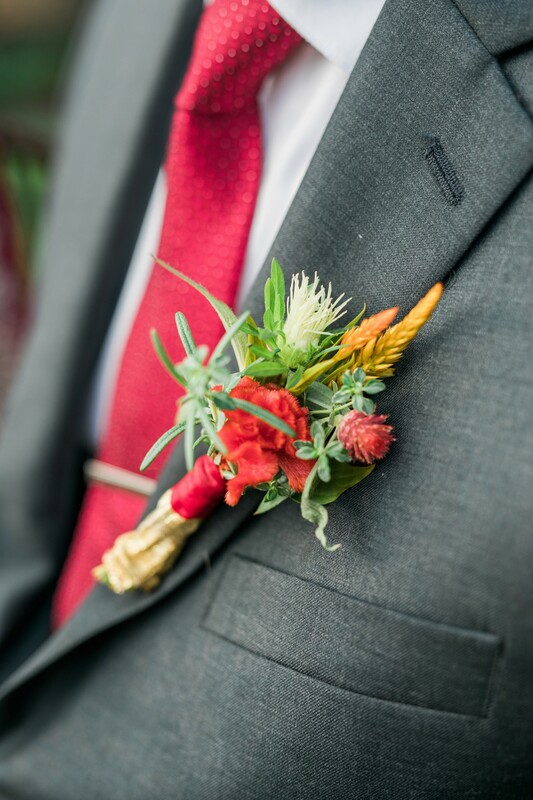 The wall was built by Kevin and over a 1000 flowers were hand placed and designed on the wall by Lesley. 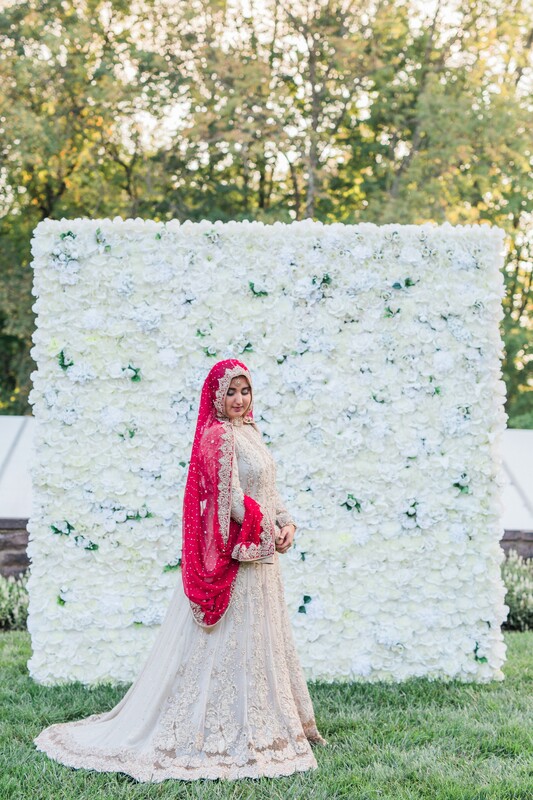 This wall was a mix of roses, peonies, hydrangeas and lilies which helped to create a beautiful yet romantic garden backdrop to highlight some of the gorgeous photos taken of the beautiful couple.